With a stay at Grand Hôtel Senia in Orly, you'll be in the business district, and 8.9 mi (14.4 km) from Cartier Foundation for Contemporary Art and 9.6 mi (15.5 km) from Luxembourg Gardens. 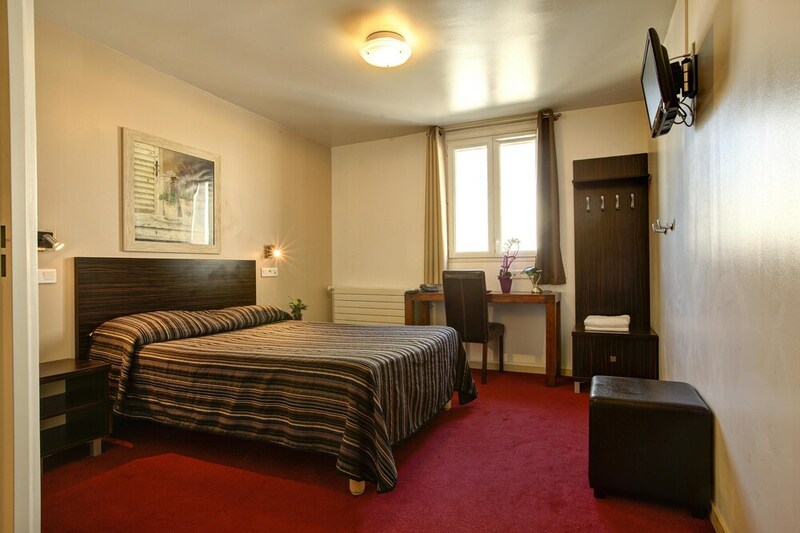 This hotel is 9.7 mi (15.6 km) from Tour Montparnasse and 9.9 mi (15.9 km) from Paris Expo Porte de Versailles. Make yourself at home in one of the 36 air-conditioned rooms featuring flat-screen televisions. Complimentary wired and wireless Internet access keeps you connected, and digital programming provides entertainment. Private bathrooms with showers feature complimentary toiletries and hair dryers. Conveniences include safes and desks, and you can also request irons/ironing boards. Buffet breakfasts are available daily from 4 AM to 10:30 AM for a fee. Featured amenities include a 24-hour front desk and multilingual staff. A roundtrip airport shuttle is complimentary (available 24 hours), and a train station pick-up service is also provided at no charge.